Lets you adjust the wet-dry mix between the original unprocessed signal and the EXTC’s effects loop. 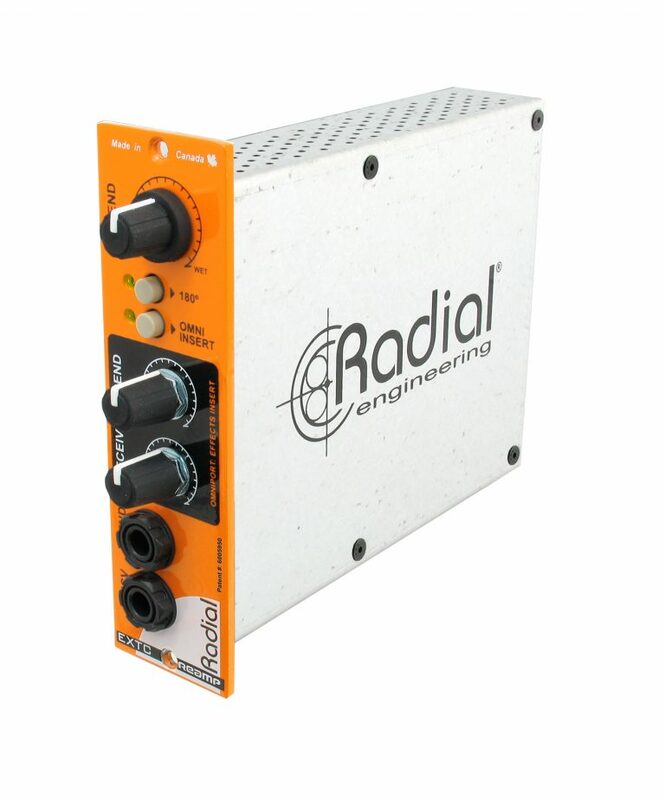 Lets you adjust the polarity of the wet signal path and bring it into phase with the dry signal when they are being mixed together. Turns on the Workhorse TRS Omniport insert jack. 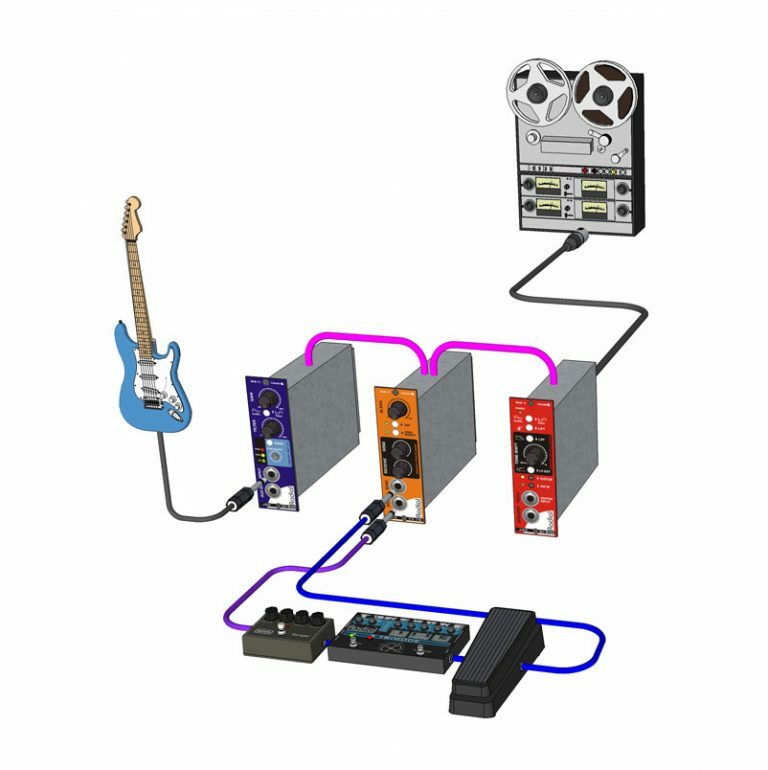 This is used to add second unbalanced effects insert path, wired in series with the front-panel inserts. These controls are used to set the send level going to the pedals and return path level back into the EXTC. These are normally set to optimize the signal-to-noise. 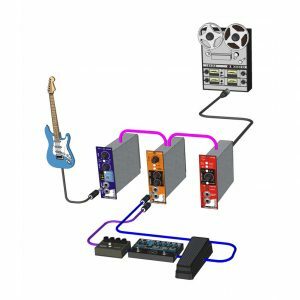 Separate send and receive ¼ jacks used to connect guitar pedals to the EXTC. Front panel mounted to make connections easy for use on the desktop. 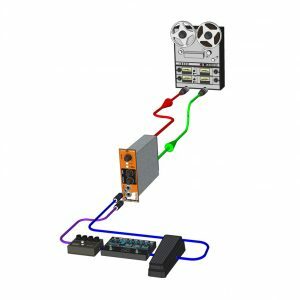 Transformer isolated to eliminate hum and buzz caused by ground loops. 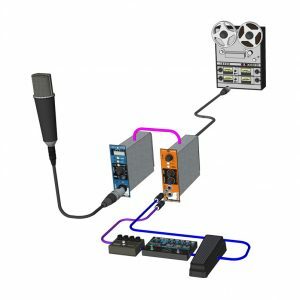 TRS jack is set up as an insert to connect to a remote patch bay or effect device. This follows the tip (send) ring (receive) convention.